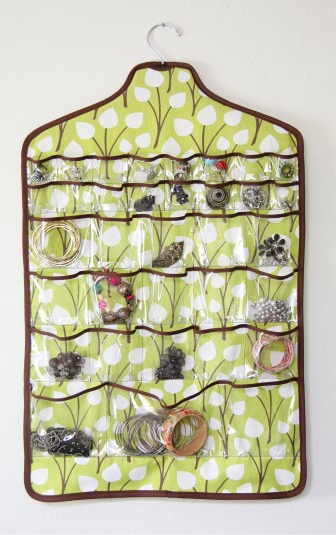 If you are tight on space or heavy on jewelry, this hanging jewelry holder is a great way to store all of your accessories. Hang it in your closet or behind your bathroom door so that it is easily accessible when you are getting ready, but clear up that much needed counter space. Ashely has a great tutorial on how to create your own over at Make It and Love It. Some people are so clever! What a great idea.